No. 1 in France for trade-oriented CRM software! 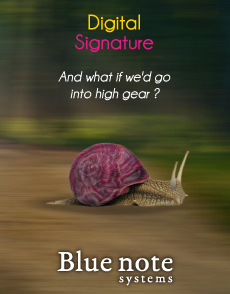 Blue note systems offers a complete range of CRM solutions (Customer Relationship Management) adapted to every trade and covering all the functional requirements to manage customer relationship, sales leads and current customers, sales force automation (SFA), enterprise marketing automation (EMA), real-time analysis and statistics as well as customer service. A CRM solution lets you optimize the management of customer relationship, from sales leads to loyalty programs. A CRM solution aims at taking in account the personal wishes of each customer and providing them with a tailored, dynamic, targeted experience. Our CRM solution enables you to increase the direct performance of your company. Reduce the cost and the cycle of the sales process. Identify high-potential markets and customers. Coordinate sales activities from marketing to customer support. Increase customer satisfaction and therefore loyalty. Our SaaS / Cloud-based CRM solution offers a highly dynamic user interface and enables you to stay in touch with your customers from any type of device (PC, tablet, smartphone). Get instantly connected with your sales leads, contacts and accounts and keep strategic trade data at your disposal with our new generation apps. Share crucial data within your company from any device connected to the Internet. 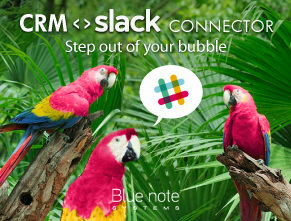 As the world becomes increasingly competitive and connected, our CRM solution enables you to build unique relationships between actual individuals. Each user has access to all the details about their customers and benefits from the right information at the right moment. Our CRM solution provides a great deal of features, including: operational features, collaborative functionalities and analytical tools. In its standard version, our CRM solution addresses most of the needs of companies, which enables you to optimize your spending. It includes all the usual features of a CRM system (management of client companies, contacts, action management and history, shared calendar, web-based emailing system, etc.) but it also includes sales and marketing features (marketing campaign management, e-mailing, opportunity and deal management, etc.) as well as customer service features (client request follow-up, knowledge base and customer portal). Our solutions are based on SugarCRM, to which we add our expertise and additional modules which can be generic or tailored to a specific line of business. The modular design of our CRM solution enables the sales and marketing teams to build customer relationships that are flexible, scalable and global. 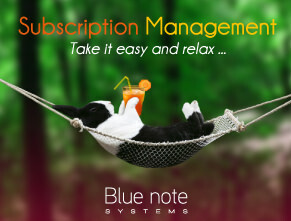 In addition to the modules specifically tailored for a specific line of business, Blue note offers many CRM components and functionalities, including: Global positioning, Product catalogue, Sales management (quotes, orders, invoices, etc. ), Service agreements, Statistics and Reporting in PDF format, Objectives follow-up, Business intelligence solutions, Decision-making tools, etc. The implementation of our CRM solution is done progressively, as your needs change. Our CRM solution can be integrated with external apps and social networks, enabling you to manage customer experience in real time. It enables you to have access to customer information you have gathered as well as information gathered through external apps and social networks. We provide connectors to link your CRM solution to your online shop, your messaging app, your ERP application, and more. Importing data collected through your former Salesforce application is easily done. With over ten years of experience in CRM solutions, we provide many ready-to-use connectors and can develop specific ones to address your needs. Multi-channel integration: online forms, chat, etc. Validation of postal addresses and global positioning. Assignment of a specific advisor to a company/deal. Flow chart of the contacts linked to an account. Search for redundancies among the accounts and the contacts. Commercial opportunity management by sales phase. List of concluded deals and on-going ones. History of documents linked to a deal - document types (PDF and other formats). Centralization of customer details, potential customers and history of exchanges. Can be accessed with other tools (messaging app, Mobile phone, etc.). Process management, automation of task creation and notifications. Collaborative repository of tailored documents. Digital signature of your quotes (feature enabling you to automatically send quotes to be digitally signed by email. Documents are automatically archived after signature). Classification of the origins of sales leads, deals and accounts. Segmentation and multi-criteria targeting of your database. Multi-channel campaign planning and launching through emails, text messages and mailings. 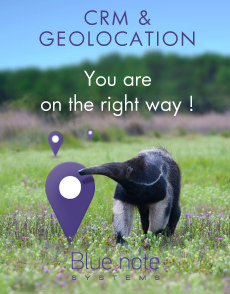 Global positioning of sales leads and customers to plan visits. In particular, integration of Twitter and LinkedIn. Automatic computation of areas and sectors. Activity-tracking dashboard that can be customized. (*) Leader in France for trade-oriented CRM solutions based on SugarCRM.